Argentina ETFs Gain as IMF Chief Says Economic Policies Bearing Fruit"
After a third review of Argentina’s economic progress, the International Monetary Fund (IMF) released a $10.8 billion round of funds as part of a major financing deal reached last year. The latest efforts by the IMF to prop up the country’s languishing economy helped Argentina-focused ETFs. 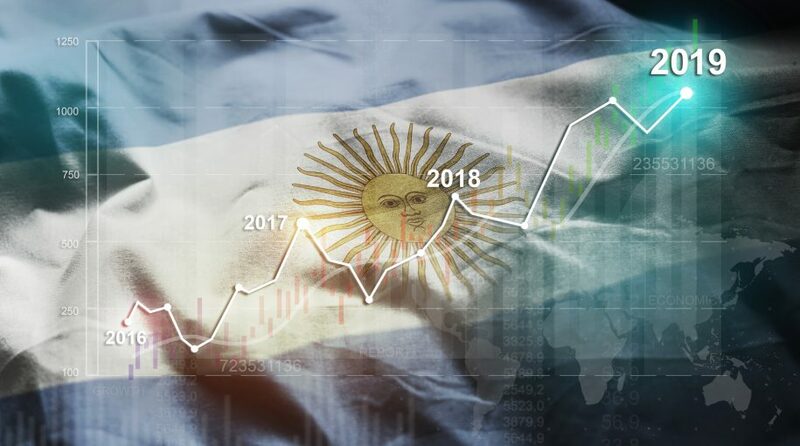 On Friday, the Global X MSCI Argentina ETF (NYSEArca: ARGT) was up 1 percent and the iShares MSCI Argentina and Global Exposure ETF (BATS: AGT) was 1.02 percent higher. Both funds are up year-to-date with ARGT showing a 17.64 percent gain while AGT is posting a 17.74 percent gain. While both ETFs are up YTD, economic risk do remain. Argentina, Latin America’s third largest economy, is facing recessionary pressure, which does warrant caution by prospective investors. Nonetheless, its local currency, the Argentinean peso, has been rising steadily against the dollar–continuing its upward trajectory from mid-2018 after falling due to rampant inflation. “Economic activity contracted in 2018 but there are signs that the recession has bottomed out, and a gradual recovery is expected to take hold in the coming quarters,” Lagarde said. Last year, Argentina agreed to a $56.3 billion financing deal with the IMF when uncontrollable inflation caused its currency to lose half of its value against the U.S. dollar. The country’s leaders agreed to implement tighter monetary policies and austerity measures to control public sector debt and reduce the fiscal deficit.